We have an expert solution for customer relationship Management. 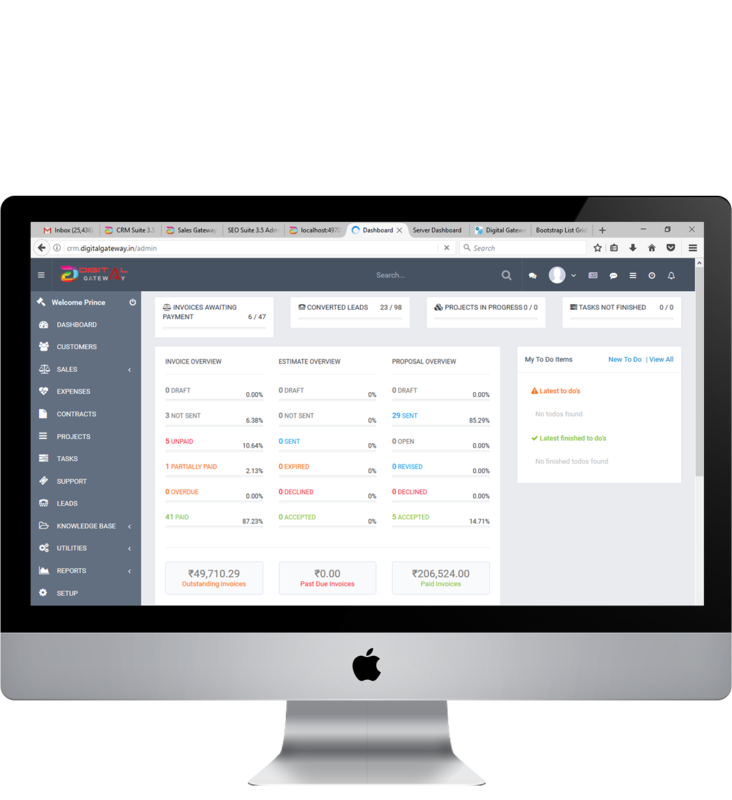 CRM GATEWAY is a web based solution to increase your sales revenue and provide you an interface to monitor your all customers at a single platform. 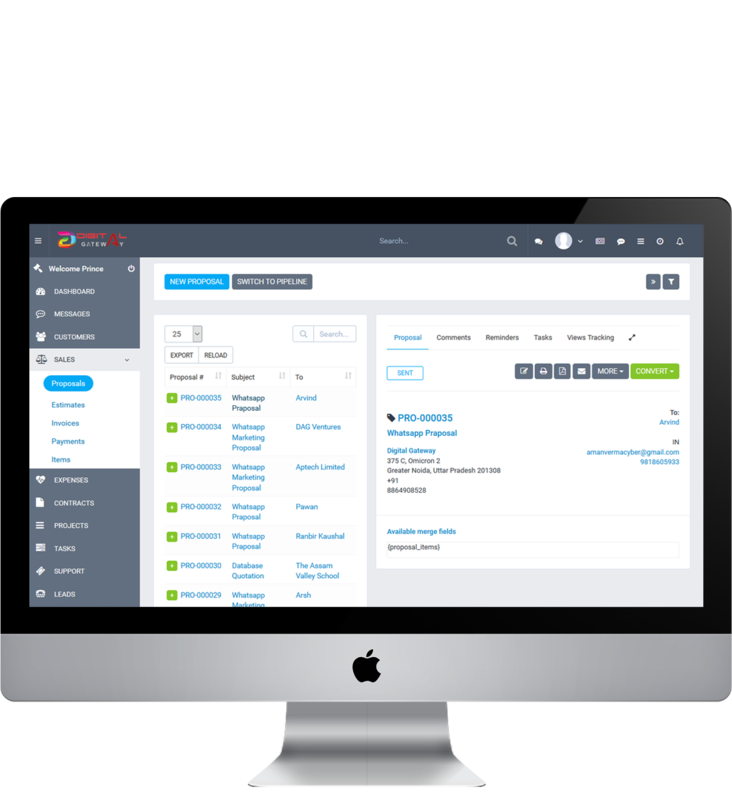 With the very powerful user experience Admin can customize some of the features in CRM like email template, support ticketing, user role, tax etc. Our CRM Gateway 7.2 having a great functionality to keep in touch with customer is automatic follow up. 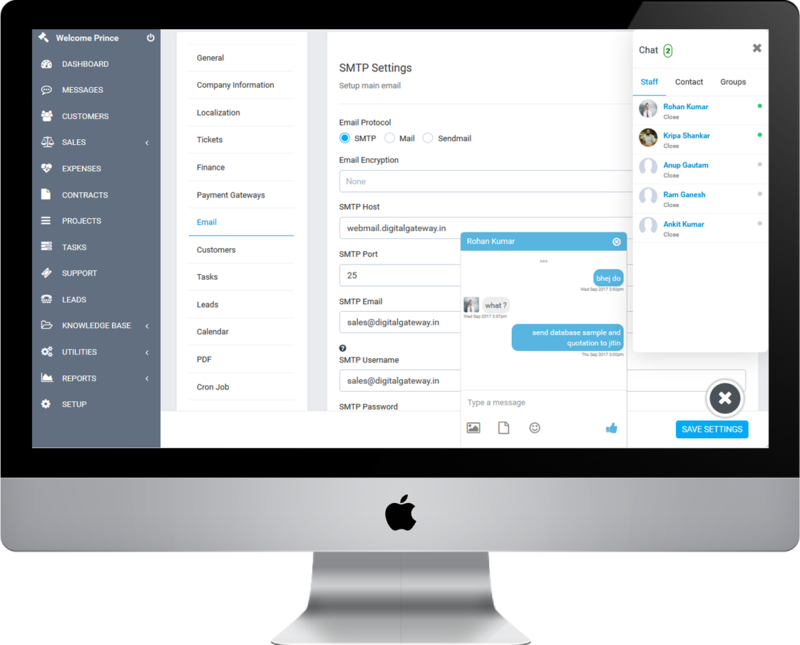 Software will automatically send email to your customer. It is the perfect solution to manage any company. It has a powerful sales funnel, employee monitoring, billing, support ticketing, email marketing etc. all features in build. Why CRM GATEWAY 7.2 ?